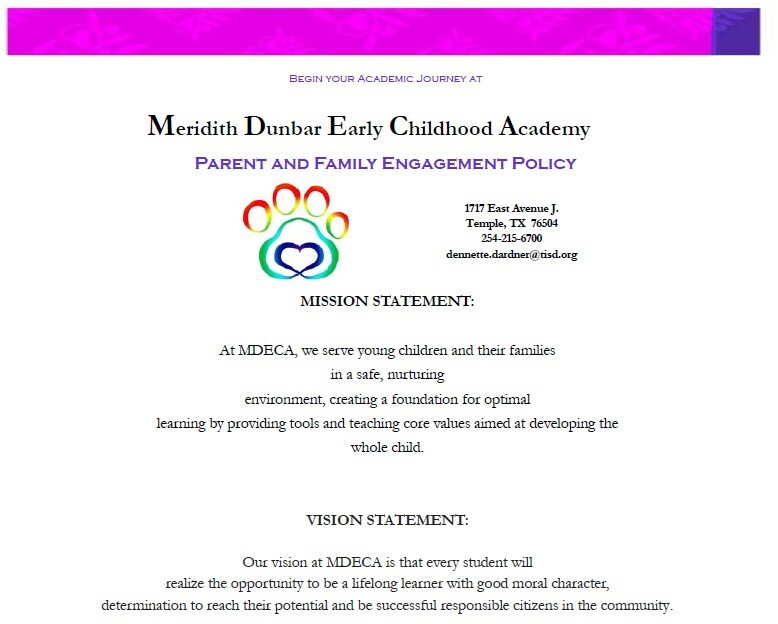 We encourage all Meridith-Dunbar families to take the time to become involved in our School Family. We hope you will be able to share the gift of your time with us this school year. You may pick up a volunteer form that includes a Criminal History Background check from your child’s teacher or, Dennette Gardner, Family Liaison. We will have many family activities including field trips, family nights, and parent workshops this school year. We hope you will be able to join us. Please look for our family newsletter called the Early Childhood Express coming your way in Backpack mail and on our campus website. 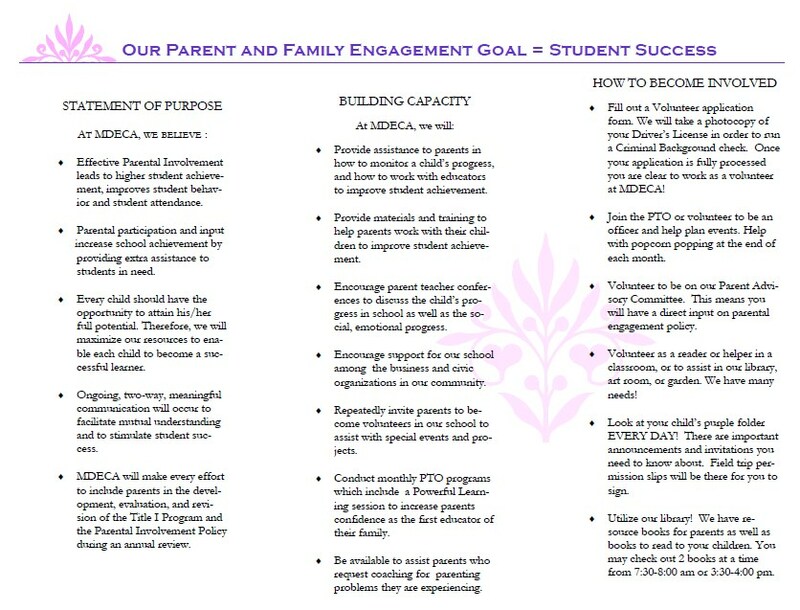 If you have any questions or want to learn more about becoming more involved in our School Family, you may call Dennette Gardner at 215-6700.